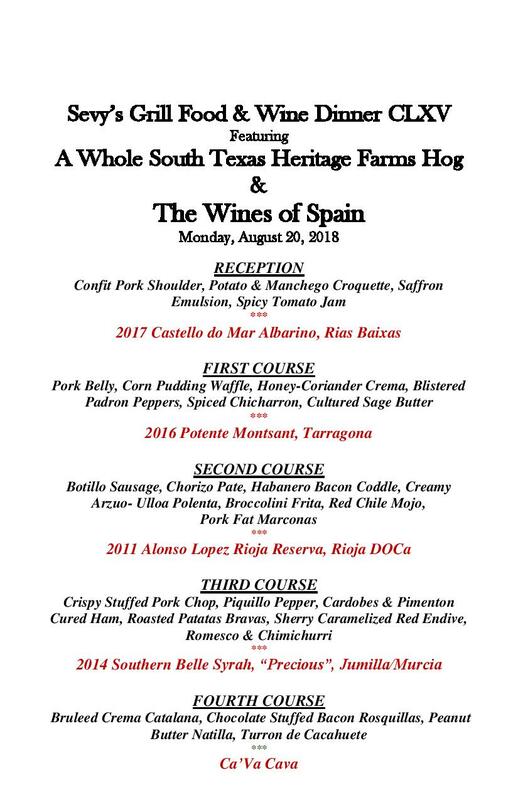 Join us Monday, August 20th for a special Wine and Food Dinner as Chef Eric and South Texas Heritage Farms collaborate with Rick Brown, Director of Fine Wines for Sigel’s, for an epic evening. The menu will encompass all the cuts of a specially selected Heritage hog made with Chef Eric’s creative flair. Rick is searching his vast selection of fine wines for the perfect match of Spanish wines to elevate each dish. $85 per person (plus tax and gratuity). Reception wine and amuse bouche begin at 6:30 with four course dinner following. Reservations have already begun to fill, so don’t “pork” around, and make your reservations now. Contact Stefaan, Frank or Erik at (214)265-7389. The full menu will be available roughly two weeks before the event.